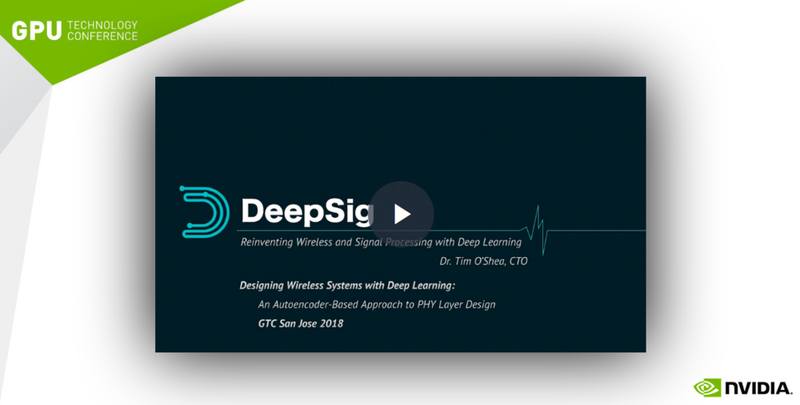 DeepSig's GTC Silicon Valley 2018 Talk Recording — DeepSig Inc. This talk, delivered by DeepSig co-founder and CTO Tim O'Shea, provides an introduction to RF sensing and learned physical layers - the two core technologies underpinning DeepSig's product line. For a deeper dive on these topics, see our scientific publications.